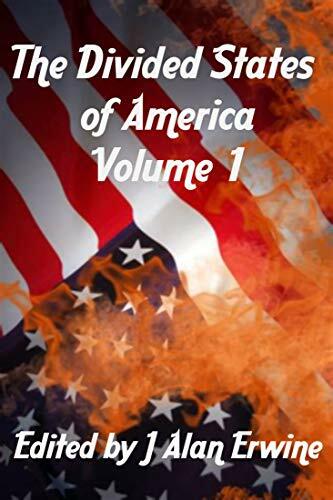 The Wall Is Beautiful is the second story in Nomadic Delirium’s Divided States of America e-book series, which explores life after the collapse of the USA. My installment is set in Texas, mostly along the Texas—Mexico border, and imagines a new Texan republic surrounded by a massive, eighty-foot-tall concrete wall. Border patrol agent Rick Moreno is one of the few Mexican-Americans left in the heavily fortified nation of Texas, a token non-Anglo paid to catch immigrants tunneling under the great country’s defenses. He faces bigotry and loathing on a daily basis, not least from his patrol partner, Mitch. As Rick’s frustration and anger intensifies, he is shocked to discover Texas’s famed border wall is no longer keeping the outside world at bay. But the thing that has blundered into the borderlands is more disturbing than anything Rick has seen before. He and Mitch must find a way to deal with the intruder and the future it represents, before that future deals with them. When I came to the US as an immigrant in 2006, Texas was the state I lived in. I stayed there for roughly eight years, before relocating to Iowa. Many of the thoughts and feelings I experienced during those eight years bubbled to the surface during the writing of this story. I think it’s safe to say I don’t like the idea of walls between nations. The thought that the current administration of the US seems determined to build one now makes me sick to my stomach. Walls can keep out some things, but they can’t keep out ideas and they can’t keep out the future. When the editor at Nomadic Delirium responded to my story submission, his acceptance email began with a one-word sentence: “Wow.” I hope this story elicits the same reaction from you. The e-book is available for purchase through Nomadic Delirium’s own site here, and through Amazon here. If you prefer using Smashwords, you can buy it here. I was a student at university when the Berlin Wall fell. People across the world celebrated that event, regardless of political doctrine. Now I’m in my mid-forties, I find myself in a world where some of those same people think building a new wall is a good idea. This fills me with sadness. I hope we all live long enough to see a day when walls are again torn down. I read J’s series bible for his Divided States of America series before the 2016 Presidential election. The premise for the series appealed to me; I’ve long thought nations like the USA and the UK contain within them the capacity for self-destruction. After the Brexit vote and the US election, I was moved to start writing a story. At the beginning of The Wall Is Beautiful, the protagonist, Rick, mentions that he never learnt much Spanish. When cultures are suppressed, as in this story, language is one of the things that is destroyed. However, I hope readers noticed that, as the story goes on, a great many Spanish words are used in reference to the landscape and the flora. Rick may have been prevented or dissuaded from learning Spanish, but the land is suffused with words and names in that language. And that history, that heritage, cannot be so easily expunged, no matter how hard an authoritarian regime may try. Will we really see a wall such as the one in this story, such as the one Trump talks about? Current cost estimates for a wall all the way along the USA’s southern border range between 1 to 2 trillion US dollars. I’m doubtful Congress will approve a budget amount anywhere near that large. As a result, I think we’ll see a partial, temporary structure, at best. I say temporary because I equally doubt future administrations will want to pay for the upkeep. The wall in this story is actually the second attempt at a border wall. In fact, Trump’s wall is mocked as an inadequate precursor. Texas alone simply doesn’t now, nor ever will, have the money to finance a project that big. As a result, in my story, Texas found a way to cut costs. As anyone who’s lived in Texas can tell you, a lot of construction work there is done by Mexicans at low price. When the leaders of the newly independent Republic of Texas started to plan their new wall, in this tale, their thoughts naturally turned to Mexican construction workers. But how to make Mexicans build a wall to keep out Mexicans? They found a way. Thankfully, this is fiction. In the real world, however, Trump is still boasting he can make Mexico pay for his wall. I’m having a hard time making my fiction stranger than truth, right now, as I’m sure you can imagine. But, wait, you’re saying, surely Texans wouldn’t all go along with such horrific acts? Here’s a true story to help address that point. On my first day of work in Texas, my new boss was friendly and welcoming; he invited me to sit with him and his coterie of supervisors at lunch. Over our unappetizing cafeteria fare, unprompted, he went on at length about the War of Independence and all the cruelties of the British. There were many references to how I’d have to give up tea and start drinking coffee (I usually drink coffee and always have done, not that it matters). This was Day 1 of my job. It went on from there. His idea of being welcoming was to dwell on all our differences and mock me for a war that ended centuries ago. Again, let me emphasize, he thought he was being friendly. Stereotypes were, for him, a deep truth. There are a lot of people who have no idea they’re racist. If they can’t even tell they’re being unkind, if they’re oblivious to how hurtful and bizarre their words are, at those moments when they’re trying really hard to be friendly, then they’re not going to be experts at more broadly telling right from wrong or at taking a tough moral stand against injustices wrought by the majority. Would such a man take a stand against policies that harmed undocumented workers? A man who’s used to doing whatever he’s told…? I leave it to your judgement. I will only say, all it takes for evil to flourish is a sufficient number of people like him. He genuinely thought he was a good person, by the way. Not that I think Texans (or Americans in general) are unique in a lack of tolerance, understanding, and the ability to self-censor. These are failings in every nationality. Because we’re all human, and we all make the exact same mistakes. Which is kind of the point. Authoritarian regimes that murder their own people can spring up anywhere. So, yes, the future shown in The Wall Is Beautiful is certainly possible, not only in Texas but anywhere. But it’s not inevitable. Especially if we remain vigilant against such intolerance and hatefulness. The Wall Is Beautiful was reprinted as part of Volume 1 of the collected paperback editions in October 2018. This volume can be purchased from Amazon here. It can also be purchased direct from the publisher here.